Richard (our incredibly knowledgeable guide for the day) picked us up from Cape View Clifton just after breakfast. Richard is part of Jarat Tours – a company that specialise in travel, tours and that luxury tourist experience, without having to get on a crowded bus. We were off on a slightly shortened version of the Cape Peninsula Tour due to time, but tried to fit in as much as we could. 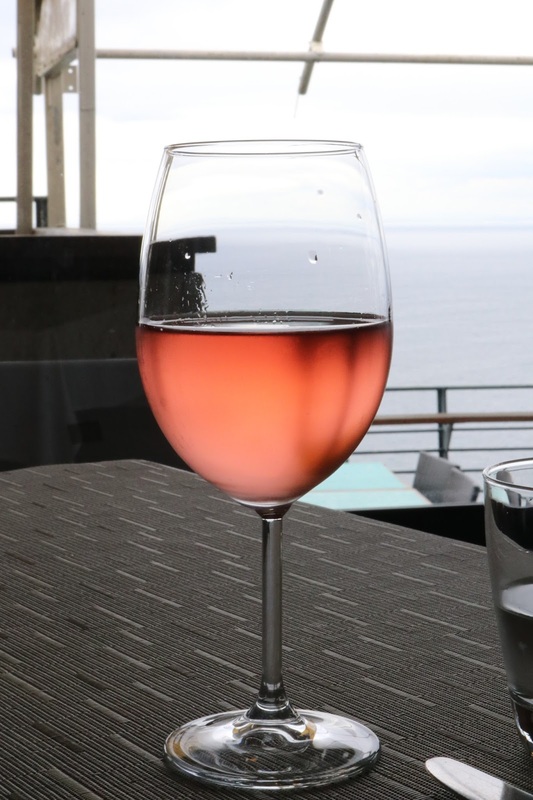 We weren’t too excited to be leaving the beauty and comfort of Cape View Clifton, but it was made much easier at the prospect of seeing some amazing animals and views. The journey started (in the very comfortable Mercedes) with a short stop at Richard’s favourite view point on Chapman’s Peak Drive. Winding our way around the cliff’s edge, it spat us back out the other side, onto the flatter plains with a view of a stunning dune-filled beach, horses and riders galloping across while white waves ridden by surfers crash on the sand. Before we knew it, we were down in the plains and through the other side gliding through incredible terrains and finding ourselves pulling up to some stables. Although, the horses were rather more feathered than usual, with longer necks and just half the amount of legs. Ben and Richard couldn’t convince me to try feeding the Ostrich, after one of them almost took one of Ben’s digits with the food. Not wanting the giant birds to go for any other body parts, we made a swift exit towards The Cape of Good Hope. When we climbed out of the car, the stench of sea weed was overpowering and the noise of sea birds overwhelming. We made it just before the hoards of tourists so grabbed the opportunity to get our tourist snap and shimmy up the cliff side before they all arrived. After the tourists started to snake their way up the cliff side towards us, we took our cue to head back down to the safety of the car. Zooming away from The Cape of Good Hope, our stomachs were starting to tell us that it would soon be lunch time. 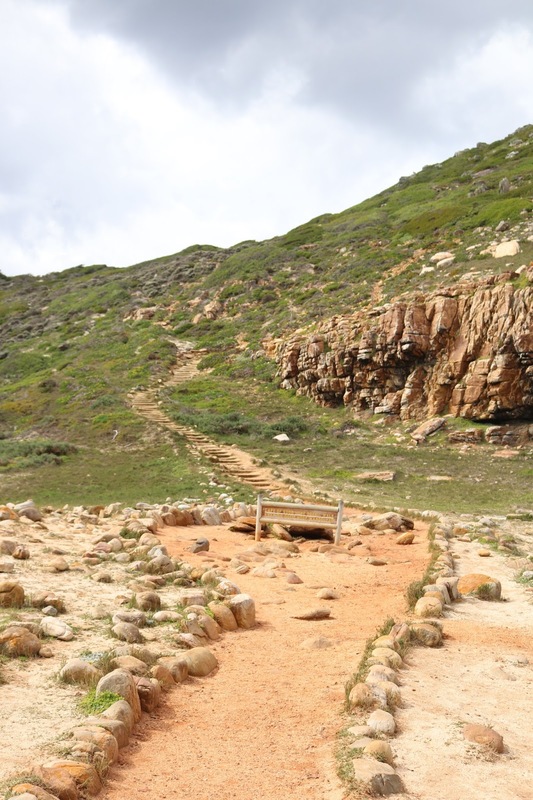 But not before one last walk up to the most Southernly tip of the African Continent. Cape Point jutted out into the powerful ocean. Cormorants leapt off the cliff’s edges and dived into the bright blue waters below, expertly pulling fish out and flying them back up to their nests. Armoured lizards basked on the rocks next to the pathway and when we finally reached the original lighthouse, a pair of baboons greeted us, the great view of the bay behind them. I’ve never thought Baboons could be beautiful, but with that view behind them and the sun making the waves gently glitter beneath it’s an image I don’t think I’ll ever forget. One of the baboons spotted something on the other side of the lighthouse and made a beeline for a Japanese Tourist’s bag of food, after a game of tug of war (the tourist somehow won!) we thought it was a good time for lunch. 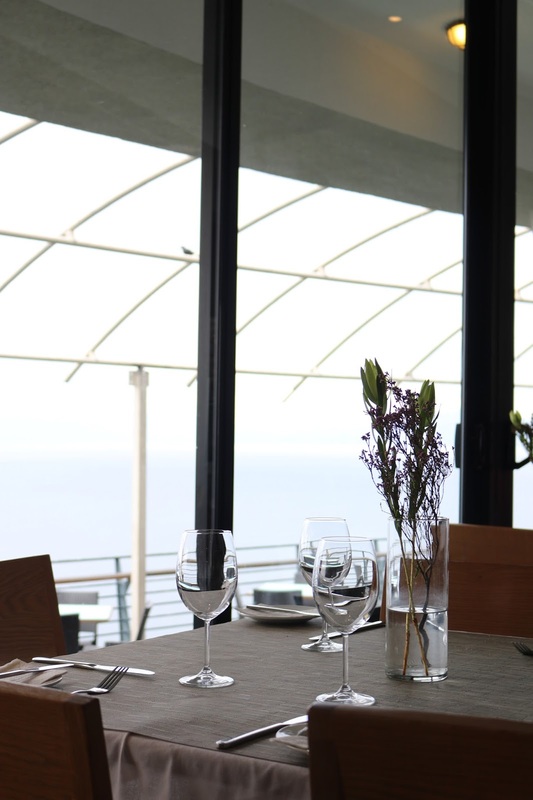 The Two Oceans Restaurant has the best view and food on Cape Point. Jurassic Park style cages around the windows keep the baboons away, so you don’t have to endure the same fight for your five star meal. We chose to sit inside by the window, in hopes of spotting some whales and ordered our food. Salmon for me and a steak for Ben with a side of wine hit the spot nicely. Something we grew to understand about South Africa is the generosity of the people. 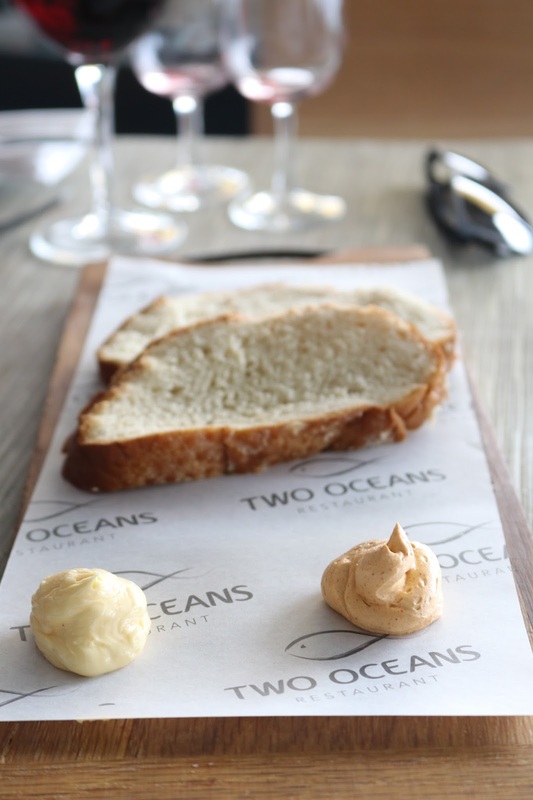 Two Oceans has an agreement with the Jarat Tour Operators that when they bring guests to the restaurant, the restaurant lets them eat for free. Richard left us to it and enjoyed his lunch with a few friends while we got to enjoy the delicious food and wine, before it was time to set off for our final and most anticipated stop of the day. Our hosts had dressed for the occasion, in their finest black tie get up and slicked back feathers. We could hear them before we saw them, rooting through the dense bush in the dunes of Boulders Beach, they sounded exactly like baby donkeys. African Penguins are beautiful. Standing at about the height of a ruler, they waddled across the sand like clumsy drunk men in suits. When in the sea, they’re like motor boats ploughing through the water diving over the surface in a similar way to dolphins and at a ridiculous speed, before plopping upright onto the beach and waddling off to find their families and feed the hungry chicks. Not quite getting the shots that we wanted, Richard zipped us both back into the car and around the bay to a smaller, more secluded, beach where a load of penguins had just finished fishing for the day and were making their way back to shoreline. One even decided to photo bomb my outfit shoot, but I decided not to confront him after he hopped up onto the rocks to pose for me. Our day with Richard is one that I will never forget and I’m so grateful to Jarat Tours for organising something so special for us. Every question we had was answered and I fell fast asleep in the car on the way to our next hotel, which is a true testament to having an amazingly fulfilling day. 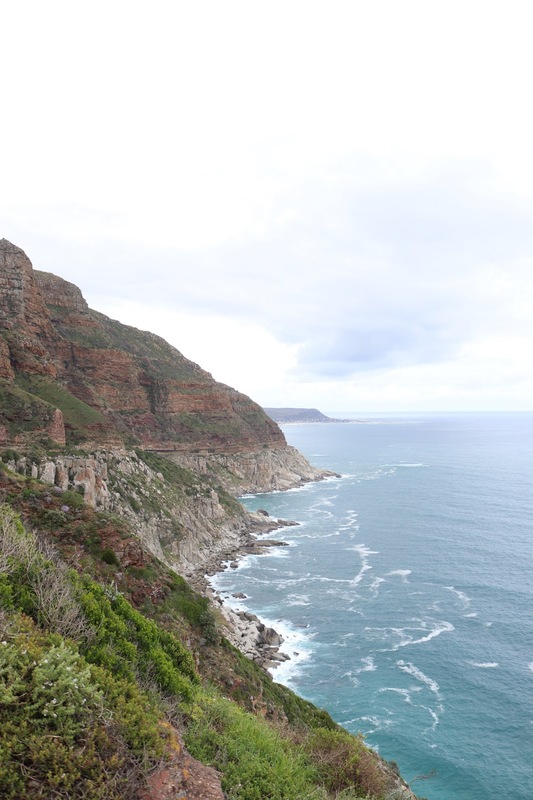 When we return to South Africa, we will definitely be getting back in touch with Jarat Tours for more unforgettable trips – let me know if you do the same trip as us!